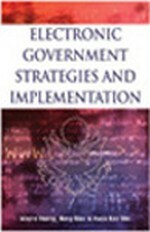 E-government has become one of the most important issues in the transformation of the public sector in many countries. However, it is not easy to implement. According to a report by the Center for Public Policy at Brown University, Taiwan’s e-government was ranked the first among the 198 countries in 2002. Therefore, the developing experience of Taiwan may be a useful lesson for other countries. In this chapter, we briefly introduce the history, current status and the architecture of Taiwan’s e-government. To further help, this chapter also identifies the critical factors of e-government adoption in Taiwan, using the Online Tax Filing and Payment System.